Forward Radek Faksa, a 2012 first-round draft pick of the Dallas Stars, highlights this year's Czech Republic National Junior Team selection camp roster that will determine the team for the 2014 IIHF World Junior Championship in Malmo, Sweden, later this month. The selection camp will take place in Rokycany, Czech Republic, on Dec. 13. Miroslav Prerost will coach the team. Faksa, selected No. 13 by the Stars in 2012, will be seeking a third straight appearance at the WJC. He has two goals and four points in 12 games at the tournament; the Czechs have finished fifth the past two years. Faksa has 12 goals and 20 points in 25 games for the Kitchener Rangers of the Ontario Hockey League this season, his third in North America. Defenseman Jan Kostalek, chosen in the fourth round (No. 114) by the Winnipeg Jets in 2013, and goaltender Marek Langhamer, a 2012 seventh-round pick (No. 184) of the Phoenix Coyotes are the only other players on the camp roster drafted by an NHL team. Both play in North America, Kostalek with the Rimouski Oceanic of the Quebec Major Junior Hockey League, Langhamer with the Medicine Hat Tigers in the Western Hockey League. Two players to keep an eye on are 2014 NHL Draft-eligible forwards Jakub Vrana and David Pastrnak. Both were given an A rating on NHL Central Scouting's November players to watch list while perfecting their game in Sweden. "Usually promising Czech talents move to North America, but these two are trying to reach the NHL via Sweden," NHL Director of European Scouting Goran Stubb told NHL.com. "Both are exceptional talents." Stubb predicts both players will earn roster spots for the Czech Republic. Vrana, born in Prague, took his game to Linkoping in 2011-12 and had 28 goals in 32 games with their under-18 team. He had 20 goals in 32 games for Linkoping's under-20 team in 2012-13 and now is playing for club's team in the Swedish Hockey League, where he has seven goals and 14 assists in 12 games. "He plays with determination and drive, has an excellent work ethic and is a very fast skater with excellent all-round skills," Stubb said. "He's got OK size [5-foot-11, 185 pounds] and strength. But he's able to control the game and create a lot of scoring possibilities with his quick moves." Pastrnak, born in Havirov, came to Sodertalje at the start of the 2012-13 season and had 12 goals and 29 points in 32 games with the club's under-20 team. This season he's a regular with Sodertalje's top team, which plays in Sweden's second division; he has five goals and nine assists in 20 games. "David is an offensive-minded player with smooth hands, great instincts and a very quick shot," Stubb said. "He's an excellent skater with speed and acceleration. He's very smart on ice but will need more weight and strength to excel at the next level." Of the 27 players picked, 23 are eligible for the 2014 draft. One other intriguing player invited to camp was 16-year-old Pavel Zacha. A 6-foot-2.75, 200-pound forward has three goals and three assists in 26 games with Liberec in the top Czech professional league. The 2014 WJC will be held Dec. 26 through Jan. 5, 2014. 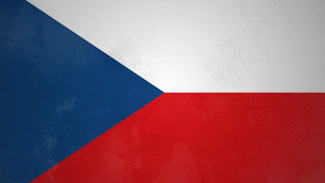 The Czech Republic is in Group A with the United States, Canada, Slovakia and Germany.